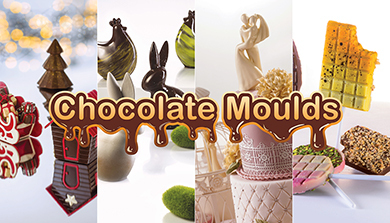 Christmas – Easter - Wedding - Birthday ….. featuring the latest matching developments of fantastic chocolate moulds for every season. Andy Mannhart has redone the whole range of moulds applying different materials such as Polyethylene and Silicon. 11 pages of innovative creations.